Square Enix has been doing custom themed PlayStation bundles for a while now and the upcoming release of Final Fantasy Type-0 is no exception. Announce today via Jump Fiesta, Square Enix and Sony Computer Entertainment has announced the Red and Black “Suzaku Edition” PlayStation 4. The console will release around the same time frame as the official game — March 19th — and will cost 46,980 yen plus taxes. 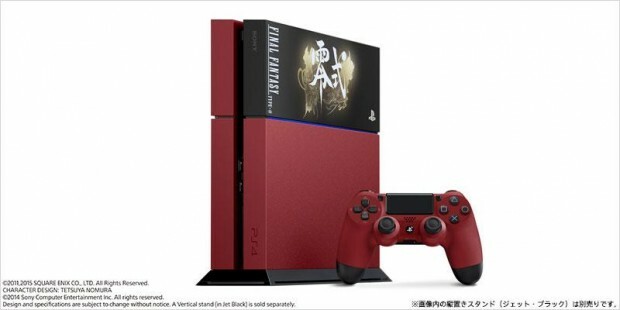 Like most of it’s siblings, the Red & Black PlayStation 4 for Final Fantasy Type-0 HD will only be available in limited quantities and will only be sold in Japan. Bummer.